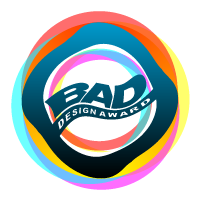 The Bad Design Award white paper discusses the most controversial issues regarding design competitions, contests and challenges. .
1. Policy suggestions for award organizers and competition hosts. 3. Status quo and trends in design competition-scape. 4. Statistics regarding most controversial issues. The white paper is not ready to download since the initiative is rather new. But please check back later, we will publish our finding as soon as we receive a significant amount of reports. To file a report, click here.